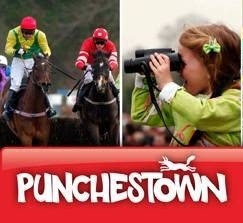 It's only a couple of weeks away from the Punchestown Irish National Hunt Festival, the highlight of the Irish sporting and social calendar. The special combination of thrilling sporting action, brilliant live entertainment, delicious food and drink, family fun, dazzling glamour is unequalled! Thanks to Bewley's Hotel Newlands Cross you could be there! - 1st Prize: 2 tickets to the races on Saturday the 28th of April and an over night stay for two in Bewley's Hotel Newlands Cross including full Irish breakfast. - Which race is referred to as the "jewel in the crown of the Festival"? As always you must be a fan of Bewley's Hotels on Facebook to enter - like us NOW! Entries must be in by next Wednesday the 18th of April to be in with a chance of winning! !